Private Ova Arthur Kelley (27 March 1914 - 10 December 1944) was a U.S. Army soldier who was posthumously awarded the U.S. military's highest award for valor, the Medal of Honor, for his heroic actions during World War II. Ova Arthur Kelley was born on 27 March 1914 in Norwood, MO, he also joined the Army from Norwood. 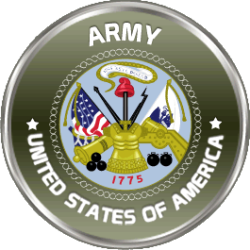 On 8 December 1944, he was serving as a Private in Company A, 382nd Infantry Regiment, 96th Infantry Division. On that day in Leyte, the Philippines, he single-handedly attacked an entrenched Japanese position and then led a charge which destroyed the remainder of the Japanese force. He was shot by a sniper soon after, and died of his wounds two days later. For these actions, he was posthumously awarded the Medal of Honor. 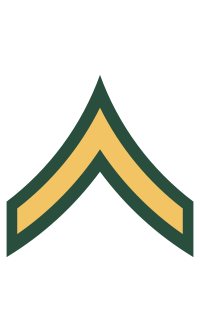 Rank and organization: Private, U.S. Army, Company A, 382nd Infantry, 96th Infantry Division. Place and date: Leyte, Philippine Islands, 8 December 1944. Citation: For conspicuous gallantry and intrepidity at the risk of his life above and beyond the call of duty. Before dawn, near the edge of the enemy-held Buri airstrip, the company was immobilized by heavy, accurate rifle and machinegun fire from hostile troops entrenched in bomb craters and a ditch less than 100 yards distant. The company commander ordered a mortar concentration which destroyed 1 machinegun but failed to dislodge the main body of the enemy. At this critical moment Pvt. Kelley, on his own initiative, left his shallow foxhole with an armload of hand grenades and began a 1-man assault on the foe. Throwing his missiles with great accuracy, he moved forward, killed or wounded 5 men, and forced the remainder to flee in a disorganized route. He picked up a M-1 rifle and emptied its clip at the running Japanese, killing 3. Discarding this weapon, he took a carbine and killed 3 more of the enemy. Inspired by his example, his comrades followed him in a charge which destroyed the entire enemy force of 34 enlisted men and 2 officers and captured 2 heavy and 1 light machineguns. Pvt. Kelley continued to press the attack on to an airstrip, where sniper fire wounded him so grievously that he died 2 days later. His outstanding courage, aggressiveness, and initiative in the face of grave danger was an inspiration to his entire company and led to the success of the attack. Private Ova Arthur Kelley died of his wounds on 10 December 1944. He is buried at Oak Grove Cemetery north of his hometown of Norwood, MO.